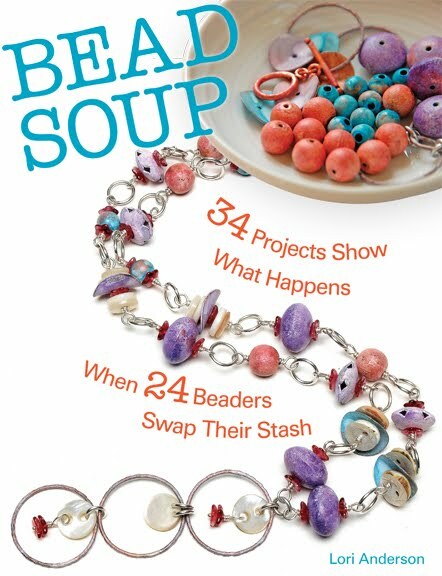 It's the end of October, and the end of this month's Cup of Bead Soup! 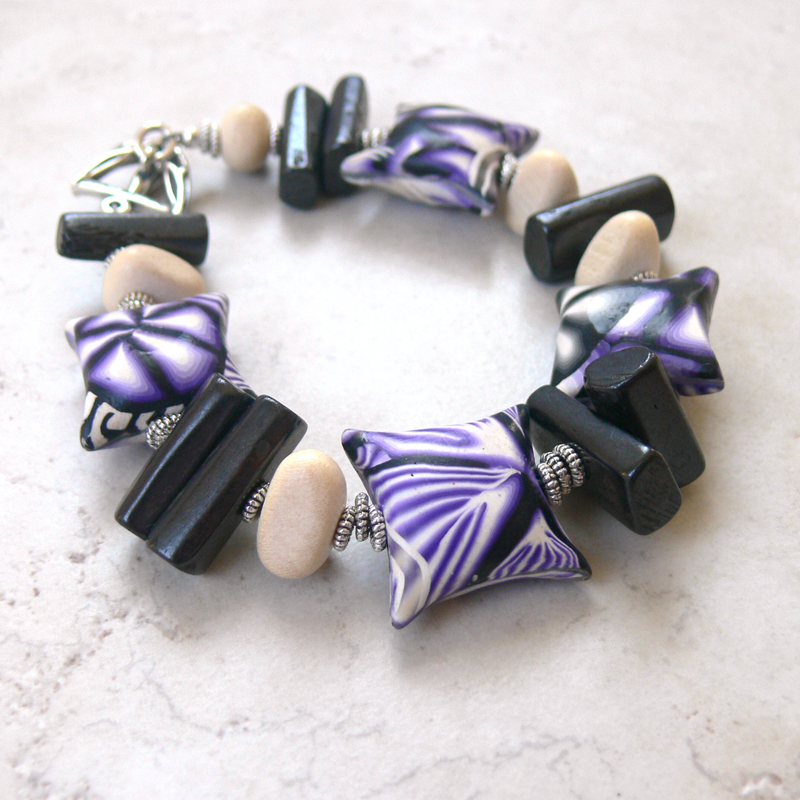 Today I'll show the last two creations I've made with polymer clay beads by Tropical Blonde. The gemstones dangling from the gold-filled chain are citrine rondelles, micro-faceted beauties that sparkle like crazy. These earrings make a bold statement but are really lightweight, and an example, I think, of where less is more -- just a little bit of chain, a bit of contrast color, and you're done! 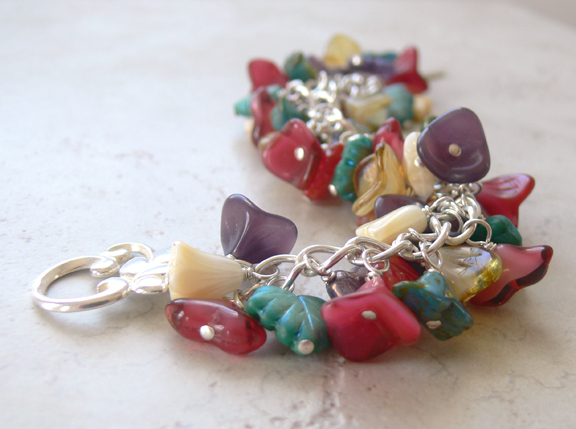 The last piece incorporates what I'd call my signature style -- lots of dangles. 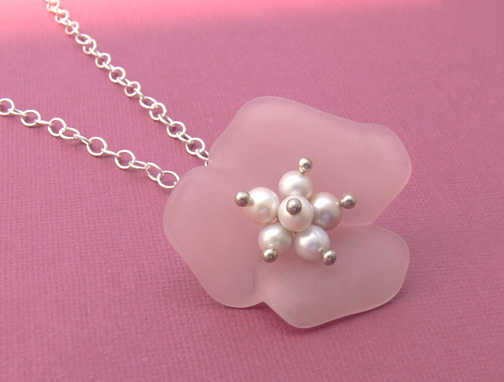 I used three large, chunky polymer clay beads in funky patterns and tried to soften the look with flowers and pearls. Not sure if I accomplished what I set out to do, but it's a unique look, for sure - and I like it! 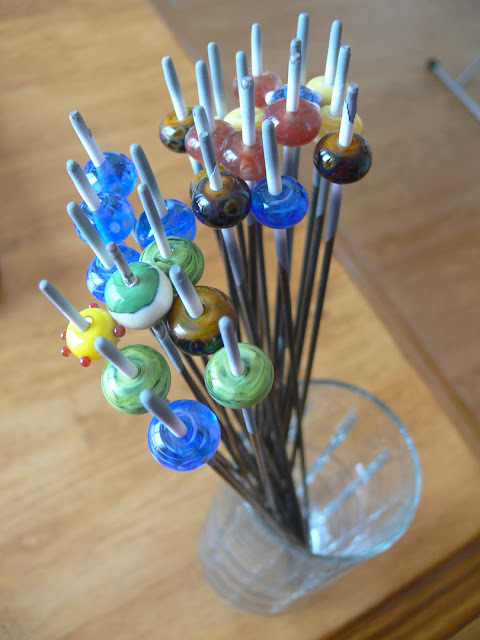 I think it worked because the colors of the polymer clay beads weren't brash and bright, but softer. 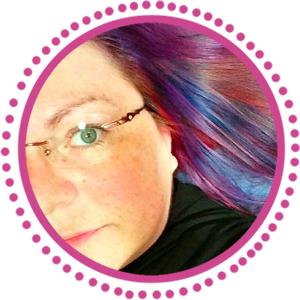 I also think it worked because I kept the dangles on the paler side of the color spectrum. 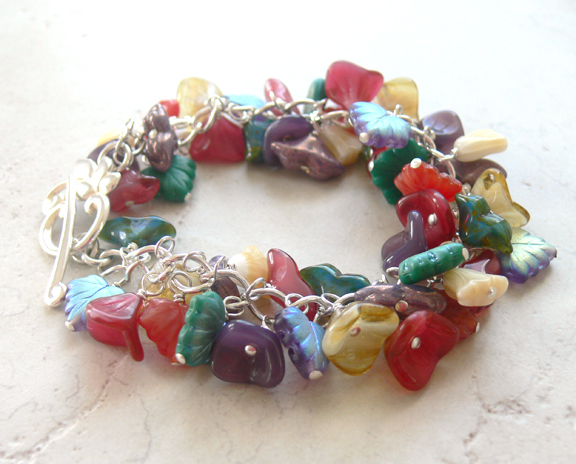 Dangles can make a piece look crazy if the colors don't mesh (and sometimes that's the intended effect! 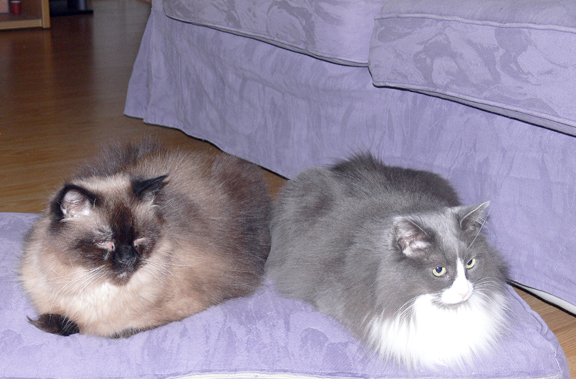 ), but if they're kept muted and around the same size, it can work. 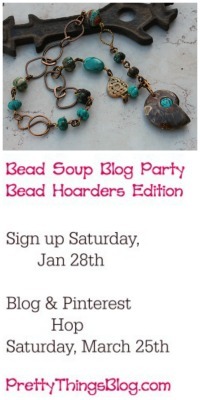 Stay tuned for another month of Cup of Bead Soup! 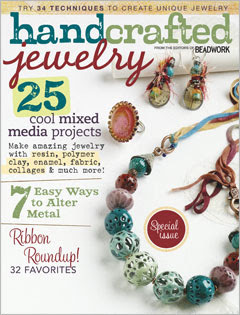 Head over to Art Bead Scene to read my review of the latest issue of Handcrafted Jewelry Magazine! It's an AWESOME issue! Come visit my other blog, An Artist's Year Off, to see what I made in Barbara Lewis' Painting With Fire class! Yesterday, Zack was invited to a play date with a school friend, and I got to go along. Our destination? 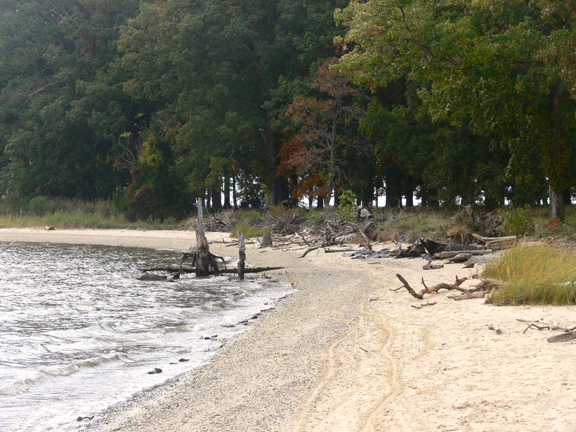 A private hideaway beach! 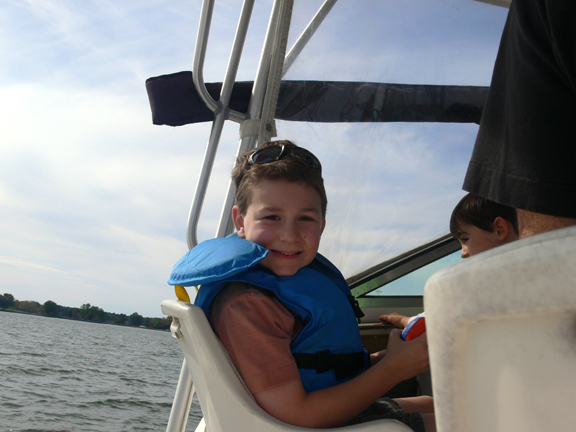 Zack had never been on a boat, so he was a little nervous at first, but all it took was opening up those engines and he was hooked. 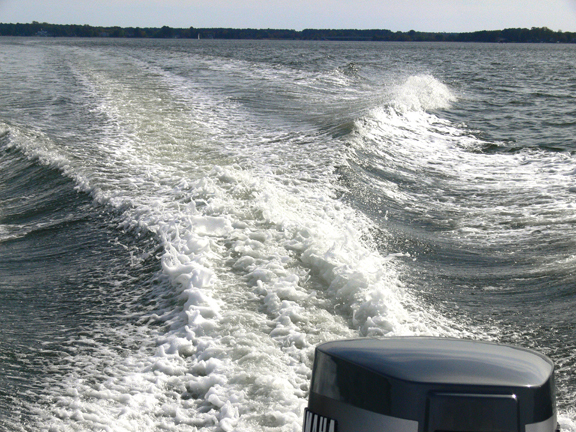 My father used to have a boat, and I'd forgotten how much I loved riding along, watching the wake, just letting my mind wander. When we arrived at the beach, we joined up a bunch of other couples and their children. Apparently everyone shows up each weekend for fun and camaraderie. 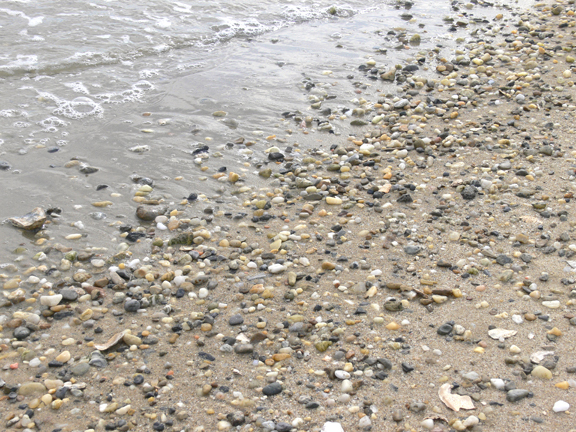 The tide was extra-low, so there was a lot of opportunity for beach combing. I have a fondness for smooth little rocks that strike my fancy for no special reason, so I ended up with laden-down pockets. I even found a couple of pieces of sea glass. I didn't have to worry about Zack very much -- he was in heaven. 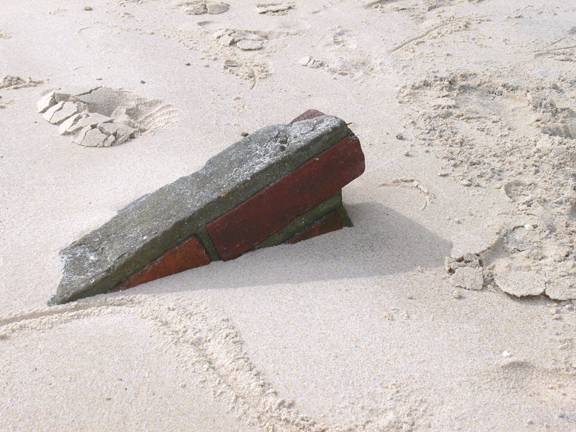 He got to go out in rides on a dinghy with an outboard motor, dig up and bury anyone's feet who would let him, and build any number of sand castles. 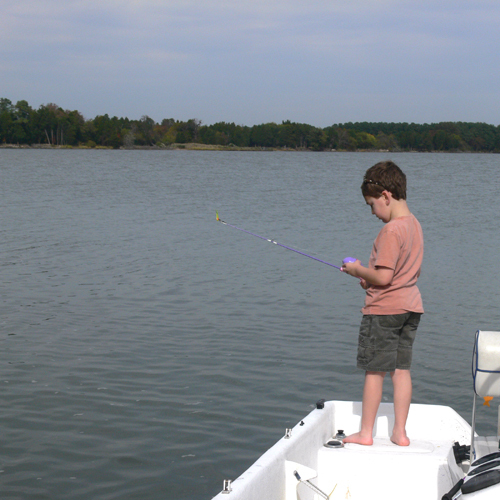 He also tried his hand at fishing with a kid-sized fishing rod. 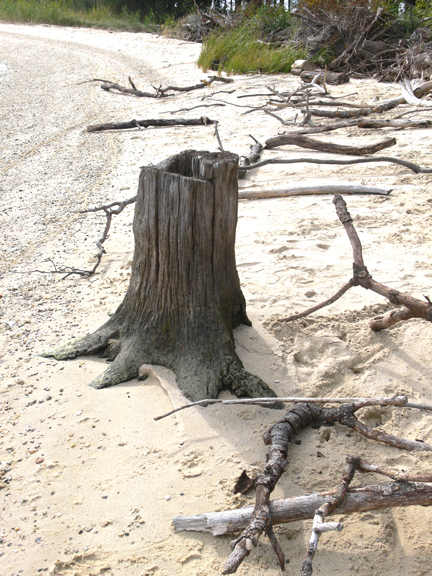 I wandered around the shoreline for a while, taking some pictures of the rough edges of the beach. The day ended with a few small fireworks being set off , and then Zack's playmate's dad let Zack steer the boat almost the entire way home. He was ecstatic. 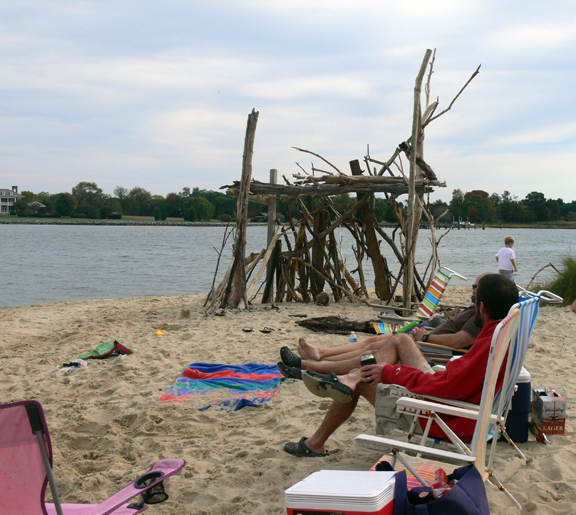 What a wonderful way to spend a 72° day in October! I just received my copy of "Making Elegant Jewelry for Special Occasions" put out by the publisher of BeadStyle magazine. 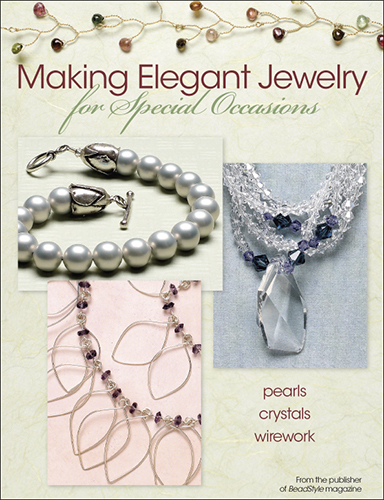 It contains 30 projects using pearls, crystal, and wire in sophisticated styles, perfect for an evening out. 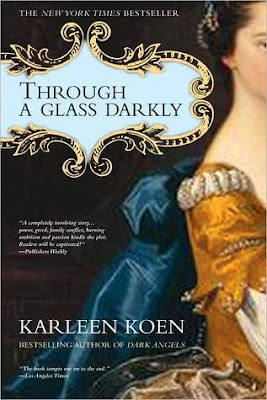 I have a project in this book, a simple and pretty lucite flower with a pearl cluster center. 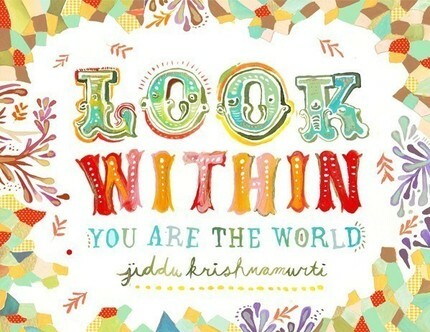 To celebrate, I'm giving away a copy of the book to one lucky blog reader! The drawing will be on Saturday, October 30th. Today is an eye candy sort of day! I'll be adding lots of jewelry to my web site this month as I have no shows at all until December (and then I have TWO! 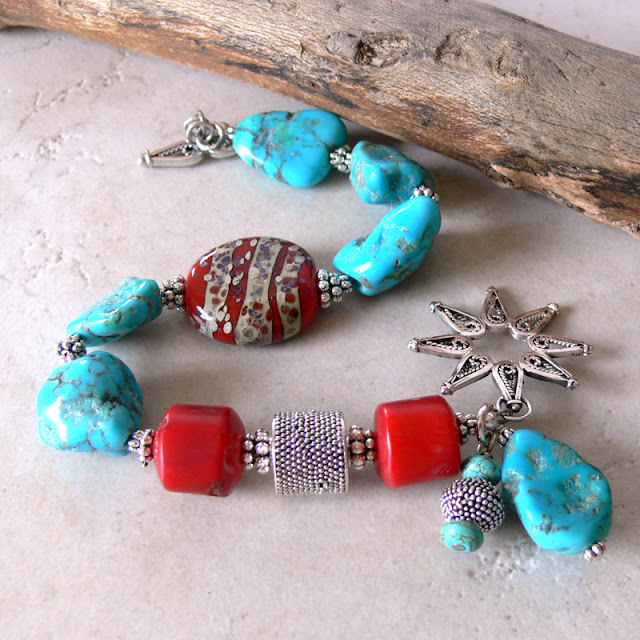 ), so keep your eyes on the New Jewelry section if you're in the mood for baubles! As of this writing, these aren't on the site yet, but if you have to have them now, just send me an email! And I added earrings last night -- just click here! WHEW! I finally got through my biggest show of the year this past weekend and I'm now dealing with the aftermath of unpacked boxes, jewelry to be resized, and just trying to catch up on sleep every chance I can get. 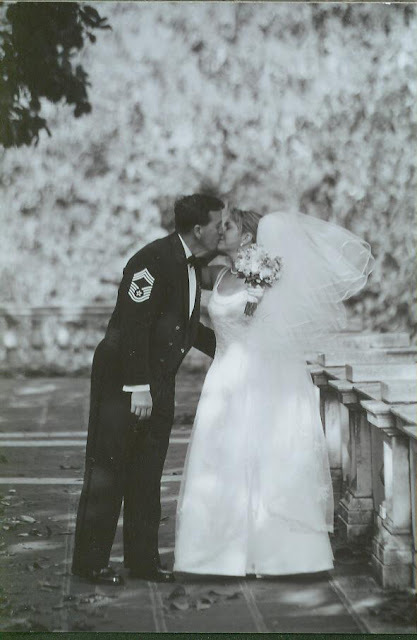 This week is going to be a whirlwind, what with introducing our newest addition to our family on Wednesday, finishing up the final inspection of the house, and finally getting started on the coordination of the book, but I'm up for it! When I start out for a show, I alleviate part of the stress of set-up by putting together four bracelet bars full of pretties, then wrapping them in tin foil and storing them in a box to take to the venue. The tin foil keeps them from sliding off into a big heap in the bottom of the car. 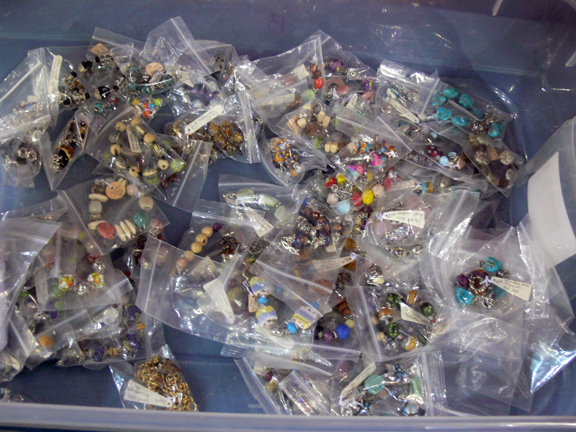 What you see below is the remainder of my bracelet inventory. 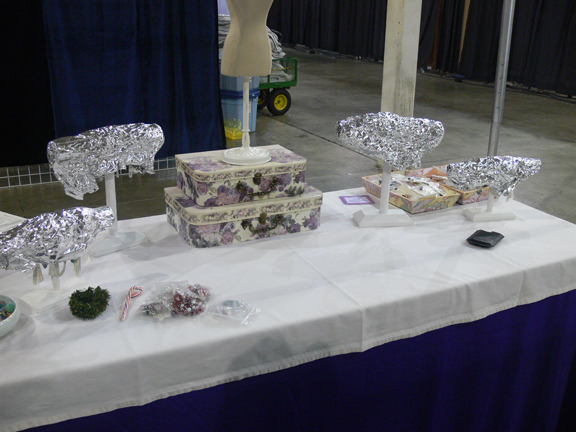 By the end of the show, everything I had brought with me was on the table. I'm just glad I spent some late nights to get some extra things made, because my customer base tends to like bracelets the best. I store my jewelry in under-bed boxes . I got a few shots of the tables after I got set up. 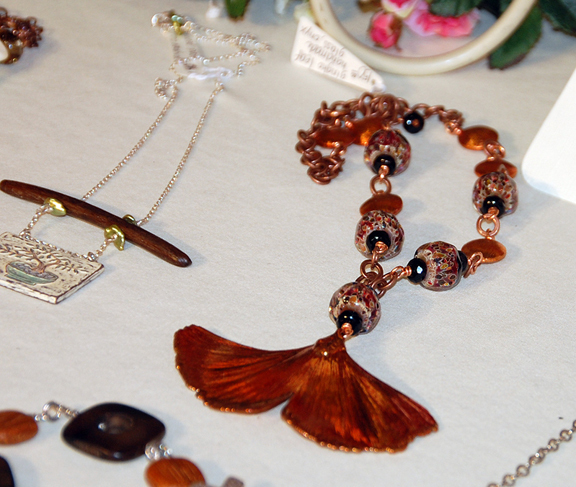 I sold several leaf necklaces, but not this one, so you can expect to see it on the web site soon! 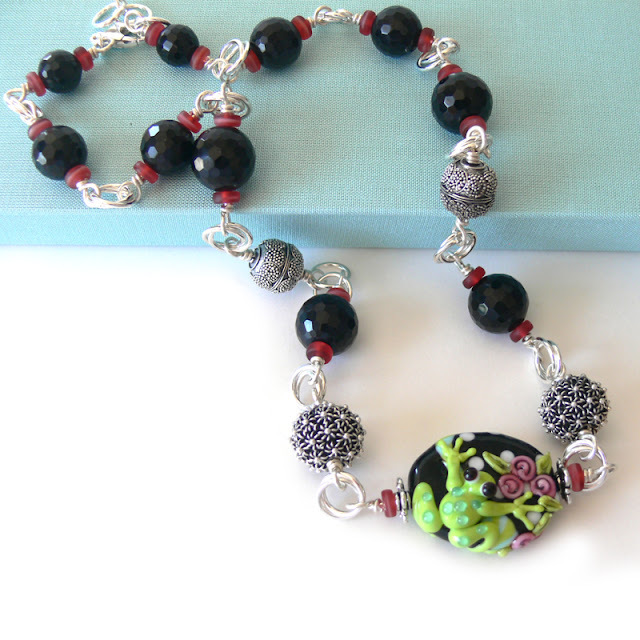 The pendant is an amazing gingko leaf, and the accents are copper chain, handmade lampwork glass, and onyx. This is the larimar corner. Larimar is a rare gemstone from the Dominican Republic. 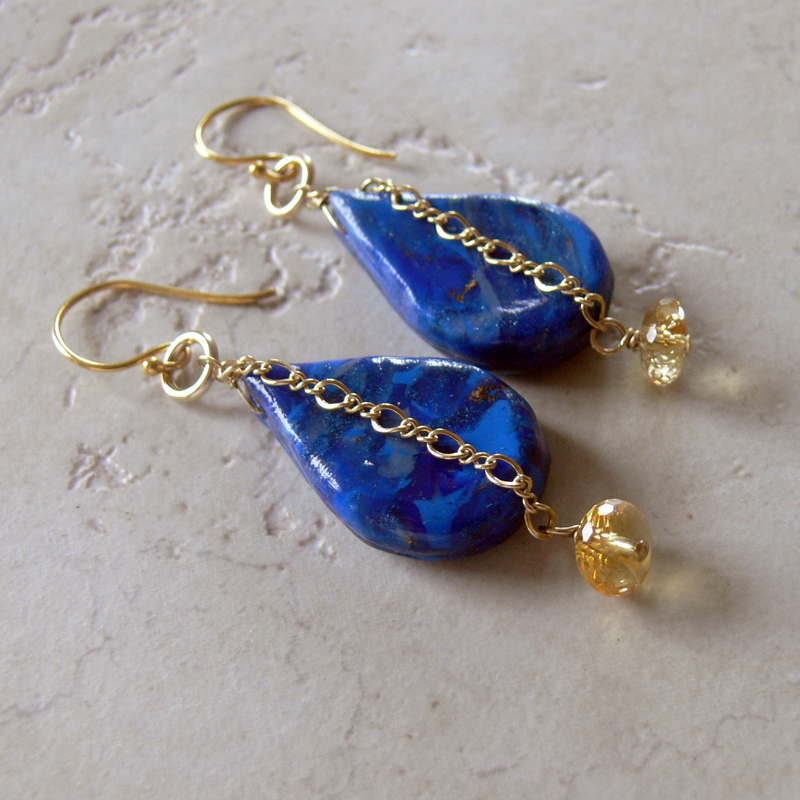 It's a natural blue gemstone, not dyed or treated in any way, and is highly collectible. My stash is starting to dwindle, but it remains one of my more popular offerings. 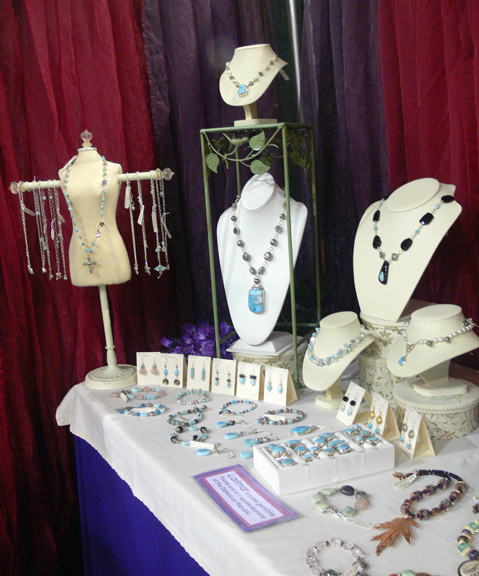 I don't have much of it on my web site because it sells at shows quicker than I can get it on the site. Like my purple and pink curtains? I didn't get a chance to take a proper photo of this necklace before I left, and let me tell you, I was SORELY tempted to keep it, but I gave a little sigh and a pat and put it out for sale, and it's now living with one of my favorite customers. Isn't it just too happy? Those beads had been living on my work bench for a long time before I finally was able to even think about parting with them. I'm grateful to Cindy Wimmer not only for coming to have dinner with me on Friday night, but for the following photo she took of my tables. When you do craft shows for a living, you are just ON the entire day, from sun up to sun down, usually with no food for hours and less sleep. 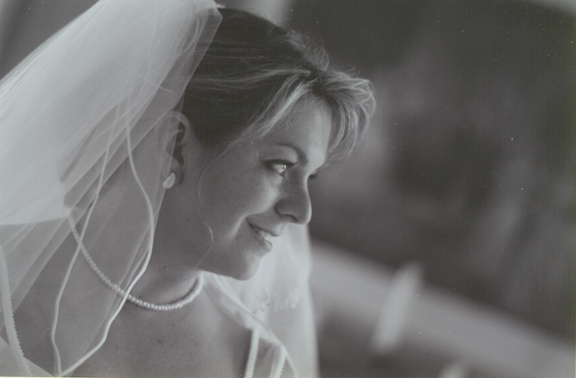 I was fortunate to have amazing repeat customers, people I consider friends, to help me along the way. They'd come to shop, then watch my booth so I could race to the restroom. 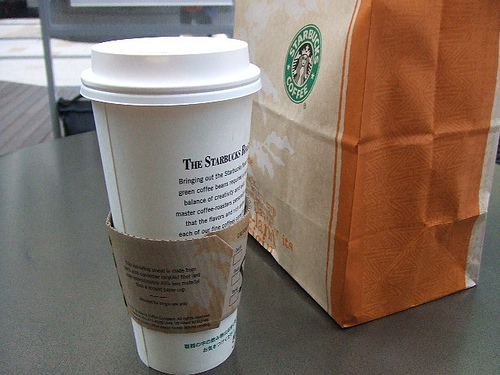 One day, a customer showed up with a gift -- a venti Starbucks. My heart was hers all day long. * Treat your customers well. Offer free resizing, cleaning, and repairs. Little things mean a lot. * Even in October, be prepared for Christmas. I sold out of almost all the Christmas bracelets and necklaces I'd made, and the holiday earrings were flying out the door. * Don't forget to ask for a wake up call. Ha. Snort. 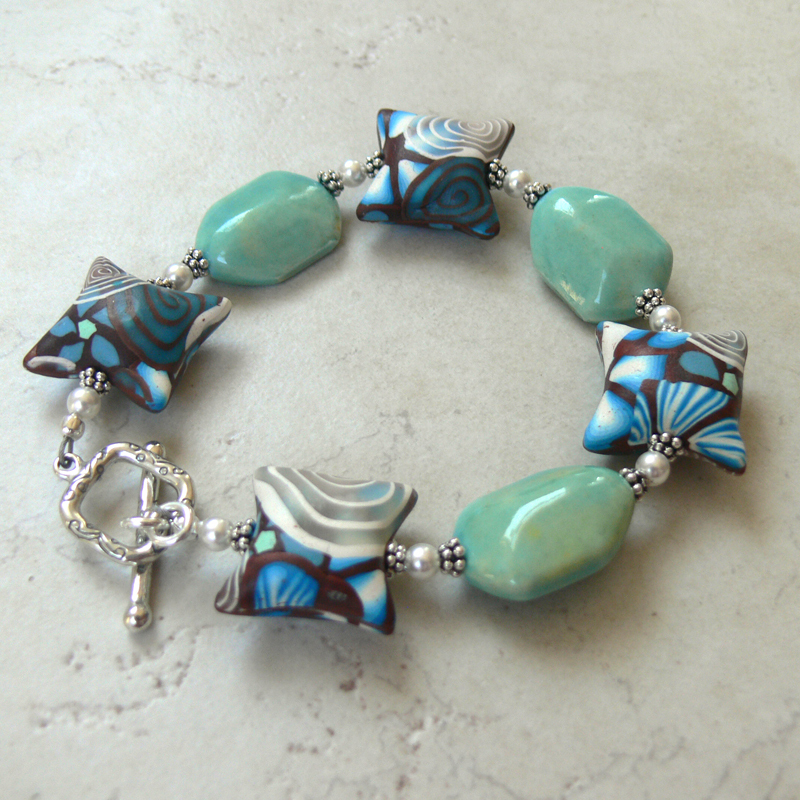 Head over to Art Bead Scene to learn more about my discover of art beads! So here I am in the hotel, exhausted from setting up for the show, and my mind is going a million miles an hour. So what shall I do while watching reruns of "The Office"? 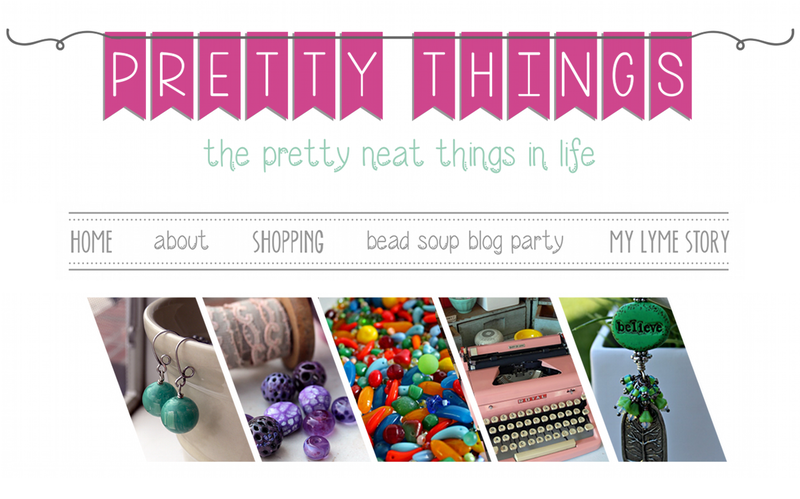 Go virtual shopping on Etsy, of course. Join me? This is probably my favorite. LOVE it. 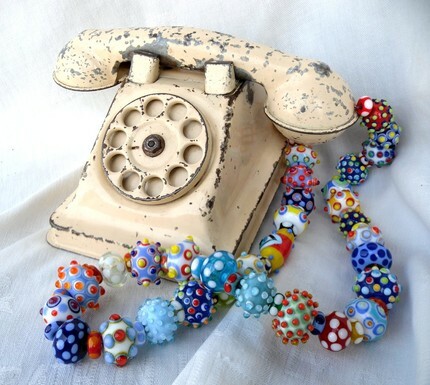 It's a vintage steel toy telephone that rings when it's dialed, and the cord is made of a whopping 73 handmade lampwork beads! 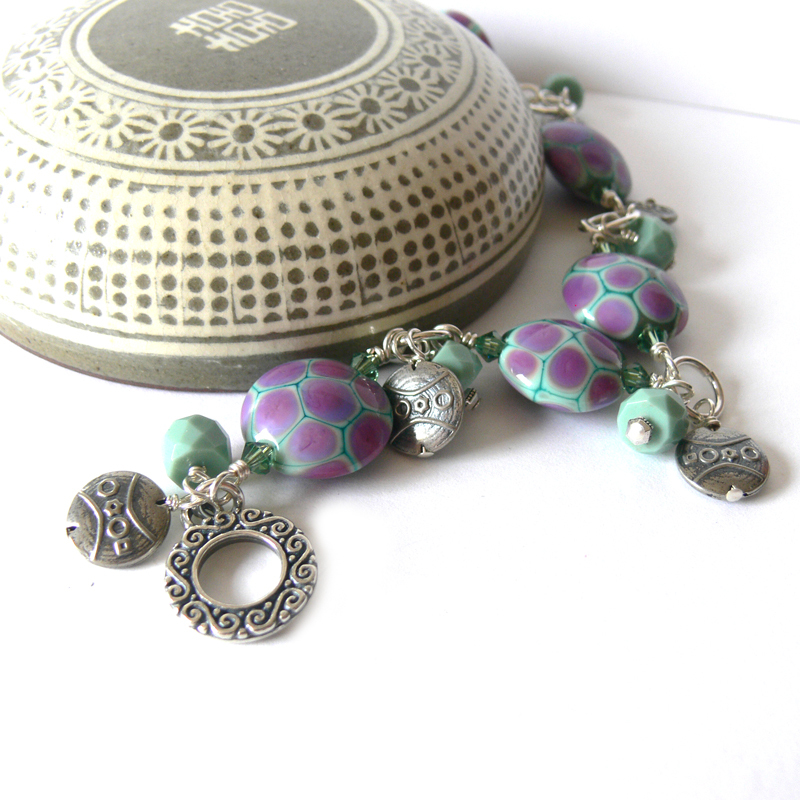 This is the perfect gift for the bead lover. Trust me. They'll flip OUT. How about for the cat lover? 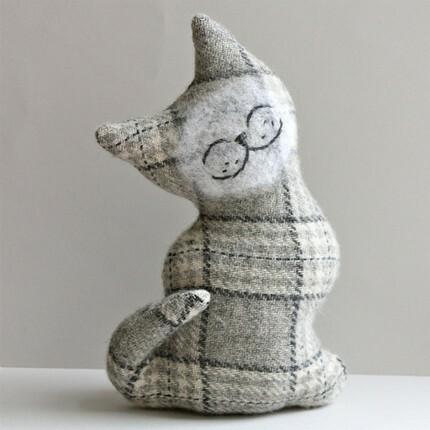 This adorable plush is made with upcycled wool. 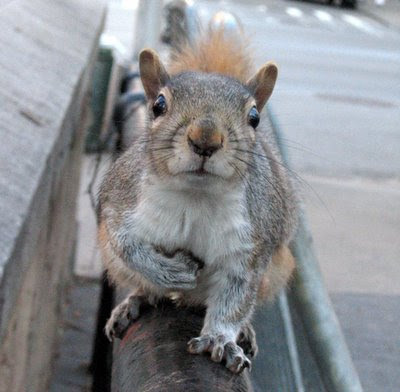 There's just no way to have a bad day when you stare at that adorable face! How about something for the guy in your life? Or really, anyone who loves technology but wants to get back to nature at the same time. 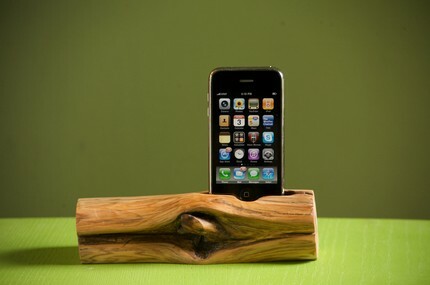 This iPhone/iPad docking station is made of cedar, so it smells like a dream, too! And finally, something that's been on my favorite list for a long time. 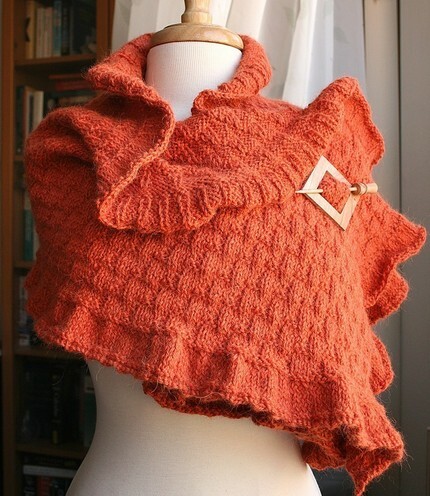 Tickled Pink Knits has a way with knitting needles, and her wraps are nothing short of sublime, don't you think? I hope you've enjoyed your shopping trip! Today was a craptastorific day. I am sick of walking into my house after dropping Zack off at school only to discover the entire living space is covered in drop cloths, dry wall dust STILL flying, paint going up, fixtures coming down -- I ... AGH! These past two weeks have tried my Type A++ personality and finally broken it. Broken it, bolted it back together, sanded it, slapped a coat of paint on it, and hung it on the wall. But still. Right now I'm hiding in my bedroom with my laptop, something I NEVER do. And I am sick to tears of hearing myself moan and whine about this so I am going to list all the good things that have happened this week. 2. 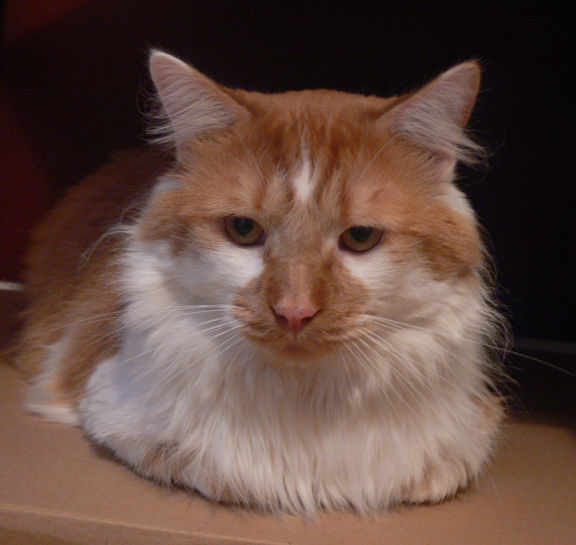 We will be welcoming a new cat to our home next week, an enormous orange and white long hair from the humane society named Vernon. I didn't name him. He came with that name. We don't know WHY he's named Vernon. 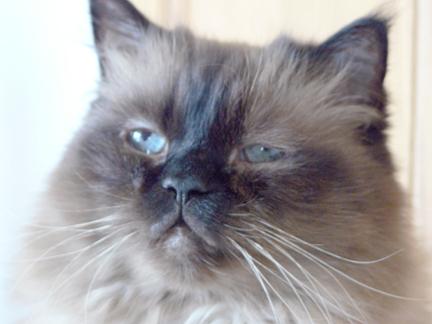 I think of Vernon as my cantankerous elderly uncle who hunts squirrels. But Vernon currently weighs 19 pounds so I don't imagine many cats (or squirrels!) will make fun of Vernon's name! 3. Part of my escaping the mayhem has included reading in bed. And last night Zack climbed in bed with me and decided his book of choice would be, of all things, the North American Bird Field Guide. 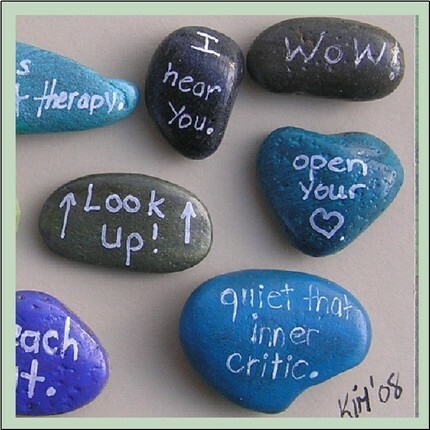 As in, what bird watchers would look at to find birds. 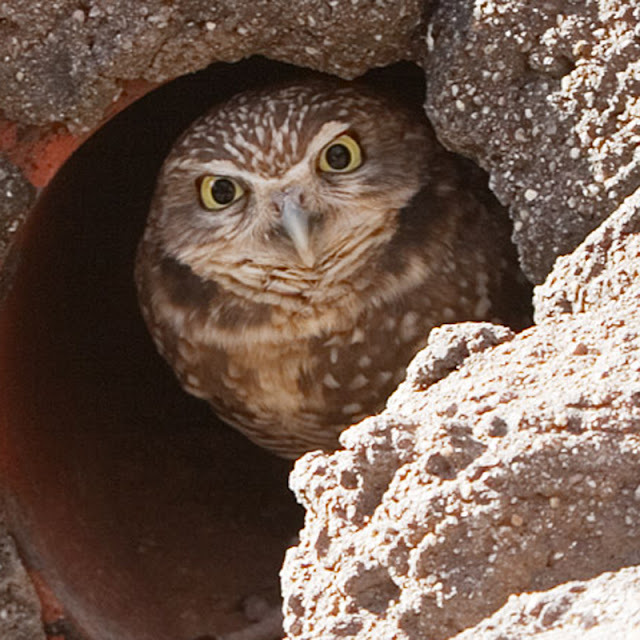 So for the next hour, he entertained me with tidbits about the Red Winged Blackbird, or, our favorite, the Burrowing Owl. 4. 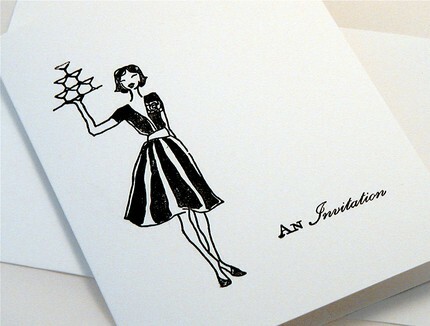 And finally, I am SO looking forward to meeting my dearest friend Cindy for dinner on Friday night. I'm hoping to coax her into Korean food, which I sorely miss from my years of living in South Korea. I knew I'd lived there a long time when the smell of kimchee made my mouth water (in a good way!). 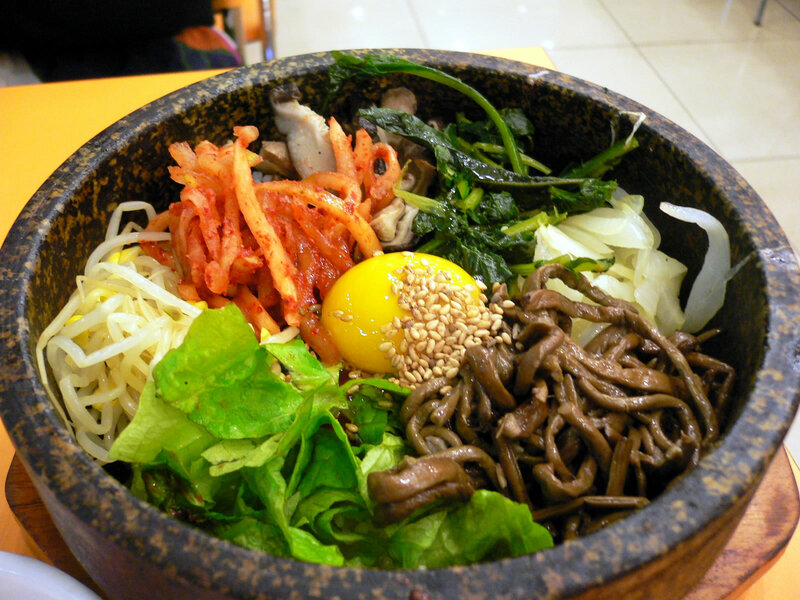 Bibimbap, my favorite Korean comfort food, and what I'll be having this weekend. Looks scary, doesn't it? But actually, it's all vegetables (except for the egg, which will get cooked when I stir it because the pot is HOT HOT HOT. Those brown things are a type of fern and I don't care for them so I pick them out -- but they're not an animal or a fish! Veggie all the way! So there we have it. Four good things to get me out of this mood. Zack prefers Fluffy Mommy, we're adopting a cat, my seven-year old likes to read books with me, and I get to visit with an awesome friend over yummy food. I think that's enough to make anyone happy! 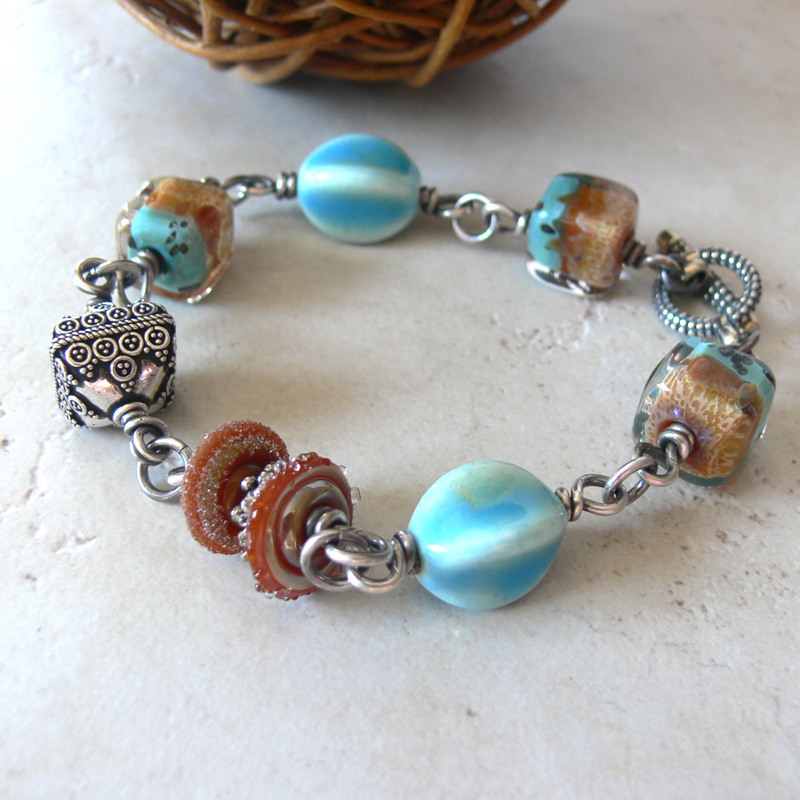 Today I'm showing you creations I've made with this month's Cup of Bead Soup contributor, Tropical Blonde. 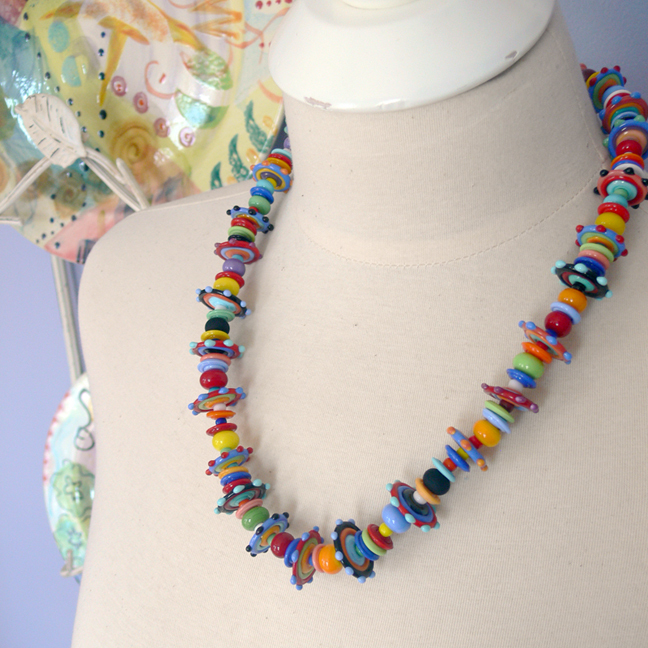 Kathryn makes whimsical polymer clay beads in vibrant colors, and I had fun working with these fun beads. 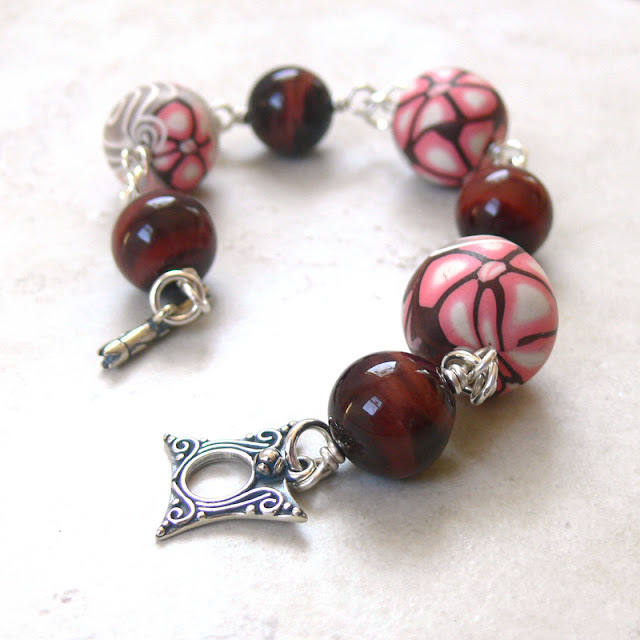 First up is a bracelet I made with beads in one of my favorite colorways, brown and pink. 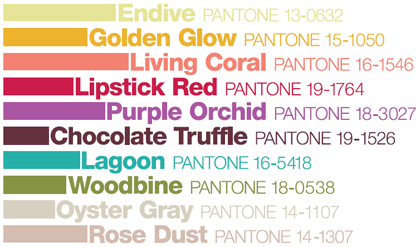 The colors fit perfectly into this season's Pantone Fall Color Report. I decided to take a risk and use gemstones with the polymer clay. 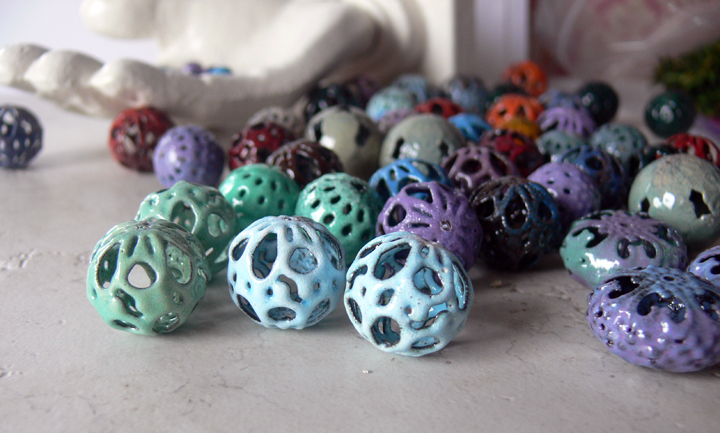 I say it was a risk because polymer clay is light, and the stones I wanted to use were the same size as the clay beads. I went back and forth to my bead cabinet, pulling out vintage lucite and Swarovski crystals, but I kept going back to these gorgeous red tiger eye beads. So red tiger eye it had to be! To keep the weight down from these 14mm gemstones, I wired them together rather than string them together, and I'm rather happy with the result! 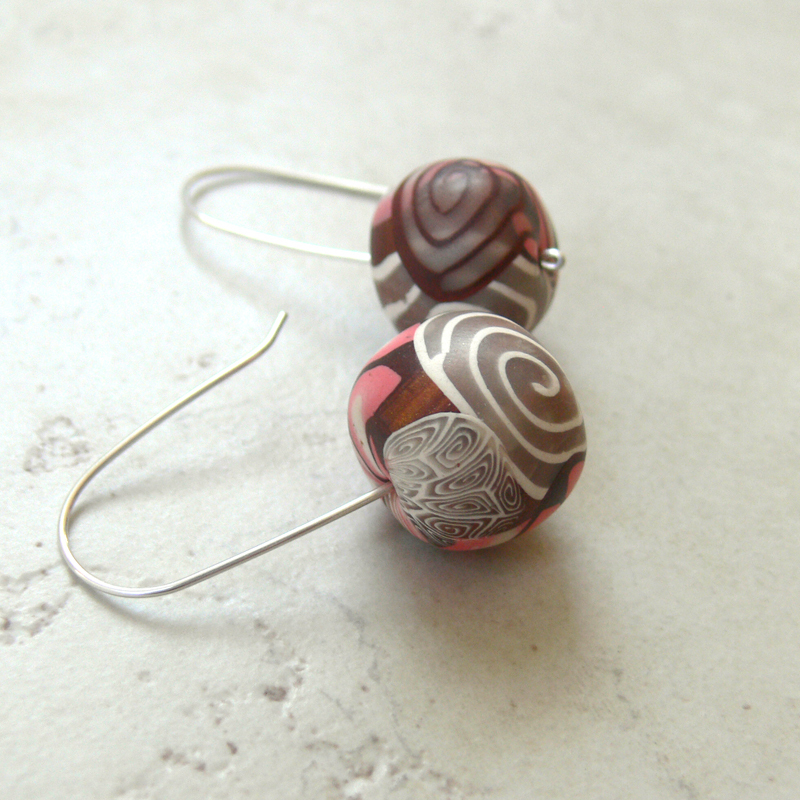 I also had enough polymer clay beads left over to create a fun pair of earrings, too. Next up are the blue and brown beads. As I looked at the beads, I noticed the tiniest touch of aqua in the polymer clay, so I decided to play up that bit instead of working with the obvious brown, blue, and cream. I had some simple ceramic beads, and came up with this. Last in today's line up is a very textural bracelet made with two types of wood in two very different shades and the purple, black, and cream polymer clay beads. 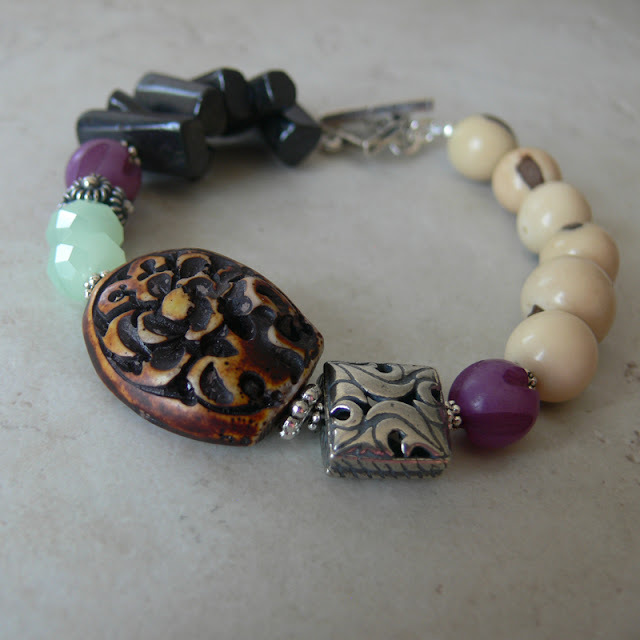 I decided to take the wild pattern of the clay beads and go for a tribal feel. So what do you think? I tried to work in a different direction than I have in the past with similar beads. 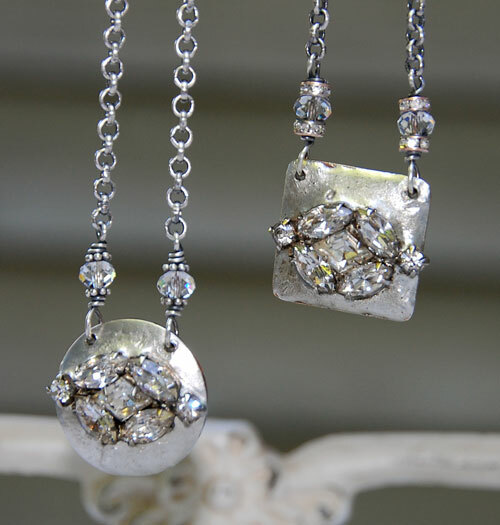 In the past, I've used Swarovski crystals and simple silver and that was that. I just matched up colors and found a cool toggle and while that worked, and they sold, I really wanted to try something a little different. With very distinctive beads, it can be difficult to get TOO creative, because the beads OWN the design, but by working with unexpected companion beads, choosing a tiny color as the accent, and playing with texture, I think I came up with a happy medium. First, thank you SO MUCH to all of you who left such wonderful congratulatory comments on my last post. 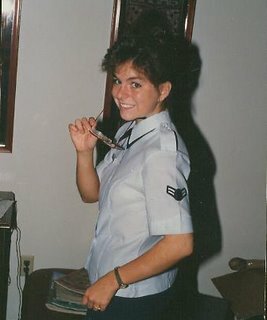 Making an entire post about tooting my own horn felt kind of strange, but in this case, I just had to! So thanks for indulging me. 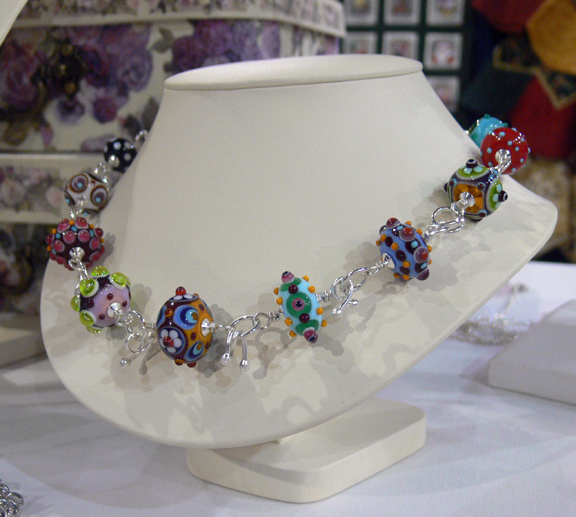 Today I'm showing you the latest in the ArtBeads.com challenge. We were tasked to create a piece of jewelry that used the fall color trends as predicted by Pantone. If you've never visited the Pantone Trendsetter link, be sure to click "Pantone" in the last sentence and you'll be kept apprised of color trends for all the coming seasons. I love this fall's trends. and went wild. Keeping fall in mind, I choose a lot of leaves and some fall-colored blossoms, linked them all together, and made one of my favorite cha-cha bracelets. 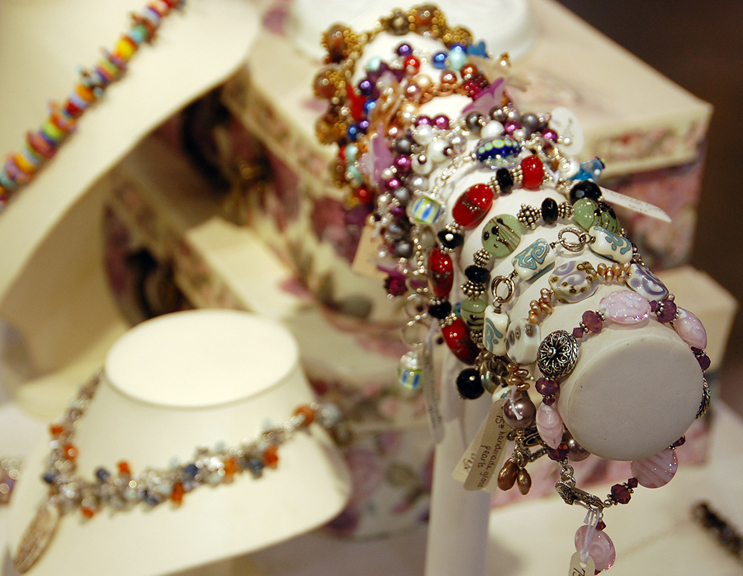 To make these bracelets lush, I usually put at least two charms on each link. This, of course, depends upon how large the links are and how large the beads are, but it's a good rule of thumb for starting the bracelet off. If you want to make a similar bracelet, I chose ten different styles of beads, five each. I used a traditional charm bracelet chain, about 7" in length, and a pretty toggle clasp (I'm a sucker for pretty clasps -- I always believe the clasp is the crowning final touch). Make wrapped loops for about 45 minutes, and you have a lush bracelet that makes a sweet sound when you move. 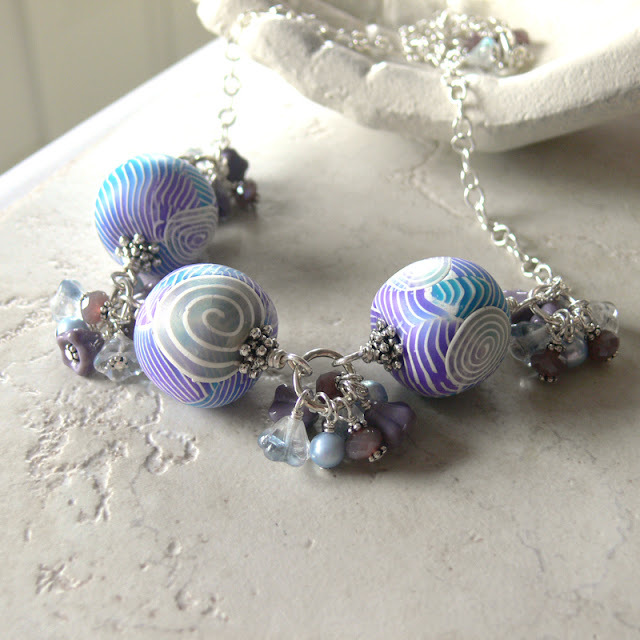 I hope you've enjoyed this foray into Pantone colors and ArtBeads.com!